We offer two customization options to our clients: software development and product customization. The first service involves us using our expertise to develop software (add-on, indicator, automated strategy, etc.) to clients' specifications. Product customization gives clients the option of reconfiguring or adapting an existing Mnikolic Investment Technologies software or service to a specific purpose or market. We have extensive knowledge and experience developing financial trading and investment-grade algorithms - from scalping to trend-following, and everything in-between. We apply that expertise to build software and services to specifications provided by our clients, such as target market, preferred time frame or chart form, strategy type, outlook, risk profile, capital requirements (initial and minimum capital, leverage), and technical preferences (processing power, available memory etc.). If you have an idea or strategy but are not sure how to execute it, this service would be for you. We break down a strategy into its key components and develop the necessary algorithmic framework to apply it to price action. The finished software includes a a custom-built graphical user interface, allowing the user to interact with the strategy components without any prerequisites or technical experience. Below is a piece of software we developed from scratch for one of our larger clients. If you're interested in transforming an idea or strategy into code or algorithm, contact us with details and specifications. You can provide as much information as you feel comfortable with and we'll let you know whether its doable and at what cost. All Marko Nikolic software products, including PivotBuilder, TrendSuite, MarketScalper, and the TradeBuilder series are modular and can be customized and expanded to construct nearly any strategy imaginable. This customization can take form of internal feature modification/addition or by combining any of the software with a 3rd party product - effectively compounding effects of the two. For example, you could extend TradeBuilder Classic's capabilities by integrating additional indicators, on top of the 29 existing. Software customization is a paid service whose cost varies per contract, depending on its magnitude . SCENARIO: The client liked what Classic had to offer but instead of switching to the new product ouright, he wanted to use it to supplement his existing strategy. RESULT: Marko Nikolic expanded the TradeBuilder Classic framework to incorporate client's oscillators, giving him ability to automatically compound his existing strategy with TradeBuilder's built-in indicators and filters. 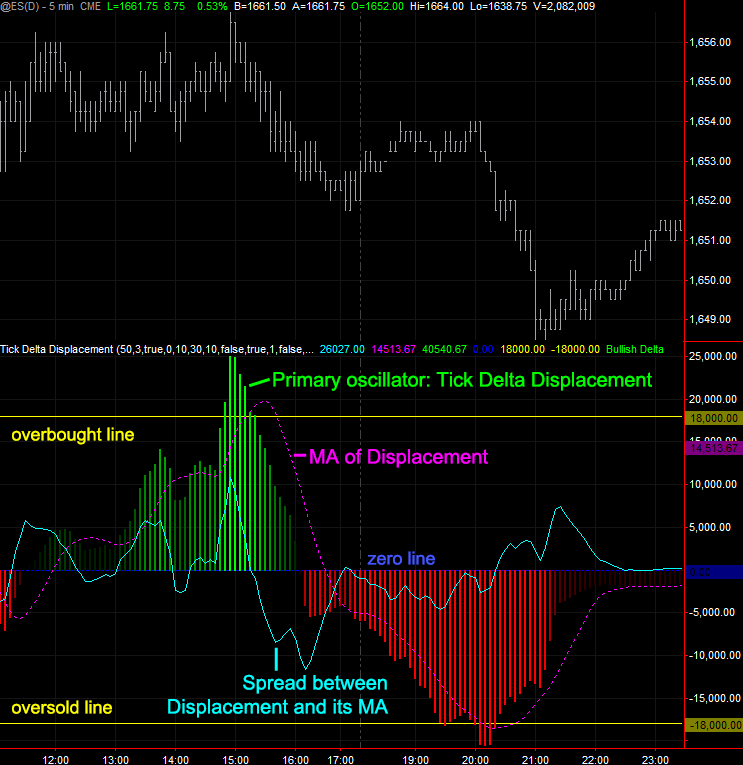 Below is a screenshot of his indicator in action. The dashboard labels have been redacted to protect client's privacy. SCENARIO: The client exclusively trades GBP/JPY M1, and wanted MarketScalper PRO's internal algorithm specifically optimized for that market. RESULT: MarketScalper PRO automatically calculates scalping signals and performs profitably with majority of markets. Like any other indicator, it does occasionally produce a losing signal in exhange for user's "drag-and-drop" covenience. In order to maximize profitability, Marko Nikolic modified the internal algorithm to focus strictly on GBP/JPY M1 price behavior. Since the breath of price behavior was smaller (one market versus many), market-specific subroutines were added, making behavioral patterns more readily predictable by the indicator. SCENARIO: The client liked the idea of PivotBuilder's dynamic, adaptive pivot interaction, but she is a traditional investor whose strategy involves solely trading bias based on the Commodity Channel Index (CCI) indicator. RESULT: Marko Nikolic used PivotBuilder's API (available to all clients - basic programming experience required) to extend PivotBuilder's methodology and algorithm onto a CCI curve. The settings and exit/entry rules cannot be disclosed due to client privacy, but below is what the resulting hybrid product looked like. She used the modified PivotBuilder strategy add-ons to auto-trade her strategy. Custom development is handled with client's privacy in mind - first and foremost. If client so desires, Marko Nikolic will sign a non-compete, non-disclosure agreement. Software customization inquiries and requests can be submitted through our contact page. Please try to be thorough.